In de tempel van het volk Israël stond in de eerste afdeling, Het Heilige, een gouden lamp die de tempel verlichtte. Het was een symbool van Christus die het Licht der wereld is. Zo wordt ook van ons gevraagd, als navolgers van Christus, dat wij een licht zullen zijn in deze wereld. De artikelen, aangeboden boekjes en verdere informatie op deze site zijn bedoeld als een bijdrage om het licht der waarheid te verspreiden. Mag deze site voor velen tot zegen zijn. 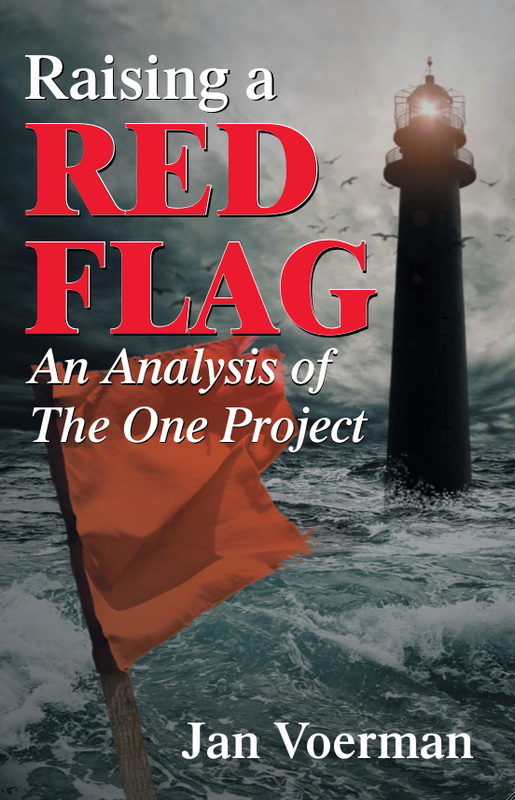 Raising a Red Flag - An Analysis of The One Project. of building directly upon the principles of the Bible? and call us to change our thinking. Did you ever wonder what is going on in the churches? Where are we heading to? We are urged to leave the old paths behind. Traditional methods and insights are outdated. seeker friendly messages, and new truths and insights. Church growth leaders aim at mega churches. A new way of thinking is propagated and everybody should toe the line. Is the current revival a blessing or is it a counterfeit movement? Read how a destructive tsunami of signs and wonders rolls across the world claiming millions of unsuspecting victims. 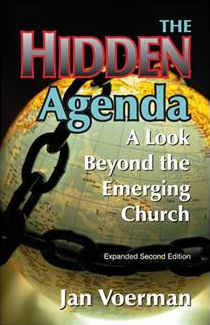 The Hidden Agenda not only sounds a clear warning but shows the way out. Did Ellen White change her concept of the Godhead or her understanding of Christ's nature during her ministry as some have suggested? Those who assume that Ellen White taught different views of Christ's nature over the years will find this book very insightful. affirmed in equipping the church for its mission of sharing the good news of His love with the world. Ellen White & the Trinity provides clear insight in a subject of great fundamental importance. In order to understand complex things, we must go back to the beginning and learn the basics. The same principle can be applied to our understanding of biblical truths. When looking at the complex issue of women's ordination, it is important to examine the beginning of God's Word. for the restoration of the traditional roles of men and women in society and in the church. and Other Aspects, draws from the writings of the early church fathers and Ellen G. White. The book presents a surprisingly refreshing outlook on a complex subject that encourages readers to return to the biblical roots. What kind of music are you listening to and playing in your church? Are there hidden messages in today's modern music? are presented when they choose to listen to secular music. to be up-to-date in the modern world, has led it to accept music genres that glorify Satan, instead of God. © Lamp of Gold 2019 | developed by: m.a.r.c.